Named after the abundant Purac tress encountered by the first residents and settlers of the area, Porac is believed to be the earliest town established in the province of Pampanga. The municipality was founded on the 31st of October in the year 1594. Originally spelled as “Poraq” after the name of the nearby Poraq River of the nearby town of Floridablanca, the municipality became formally known and spelled as Porac on September 16, 1867. As the municipality of Porac has its fair share of hilly and mountainous terrains in the majority of its plains and fields, it should come as no wonder that agriculture would play a pivotal part in its people’s livelihood. However, back then, Porac was a ranch in the slope of the Batiawan mountain water was scarce in the mountains, residents were compelled to move to the lower grounds near the “Poraq River” to sustain their need of water. By 1853, the settlements in Porac grew to six barangays namely Dolores, Mitla, Manibaug, Pulung Santol, Pias y Pio and Salu with a total population of approximately 5,500 people. In the early 19th century, Porac became somewhat of an established town with a thriving agricultural sector. It had a functioning local government as well as its very own church. To protect the community from any attacks orchestrated by the Balugas, a Guardia Civil detachment was stationed in the municipality. Spaniards from this detachment were known to marry the locals– a feat which gave the place its distinct and notable Spanish mestizo population. 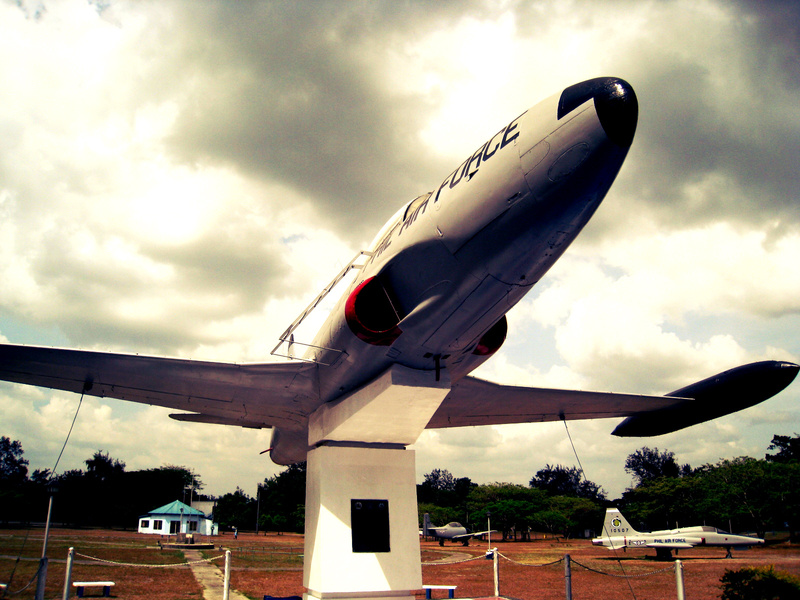 Today, Porac is known to be a vital source of granite and a tamping grown of minerals. Additionally, it is also home to the Mekeni Food Corporation which happens to be an “AAA” Meat Processing Plant accredited with the National Meat Inspection Service. As it is classified as an “AAA” meat inspection service, the corporation is qualified and licensed to market its products to both the local and international market. 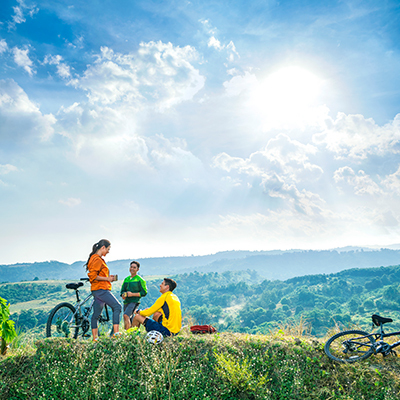 More importantly, Porac is home to Ayala Land’s development of a mixed-used estate known as Alviera which has been dubbed as the regional growth center of Central Luzon and would also mark the province as a premier tourist destination in the North. 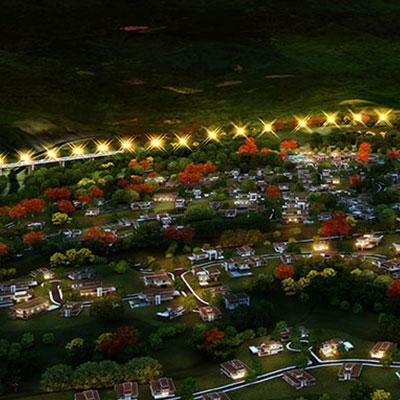 Ayala Land’s venture together with the construction of the Subic-Clark-Tarlac Expressway, Porac is then poised to emerge as the next Industrial Hub of Central Luzon. Individuals with an affinity with nature and trek enthusiasts should never leave Porac without visiting one of its most popular tourist destinations, Miyamit Falls. Porac Peak offers a spectacular and a breathtaking view of the majestic Miyamit Falls. 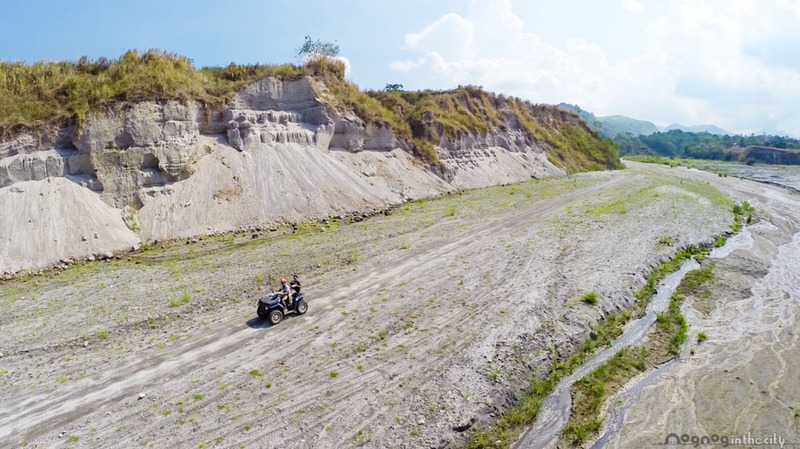 To ensure that you can make the most out of your trip, take the alternate Porac trail which leads to the Pinatubo Crater Lake and meanders around the mountain. This route will give you a 28 kilometer’s worth of non-stop scenery filled with verdant greenery, unspoiled beauty, natural wonders, and lush forests. Strong and powerful are just two of the words used to describe the current of Miyamit Falls which has been said to fill a basin of cool and clear water ideal for swimming. Adventure seekers and those who wish to uncover more of Porac’s beauty should definitely delight themselves with the majesty of Miyamit Falls, one of Pampanga’s treasured natural wonders. 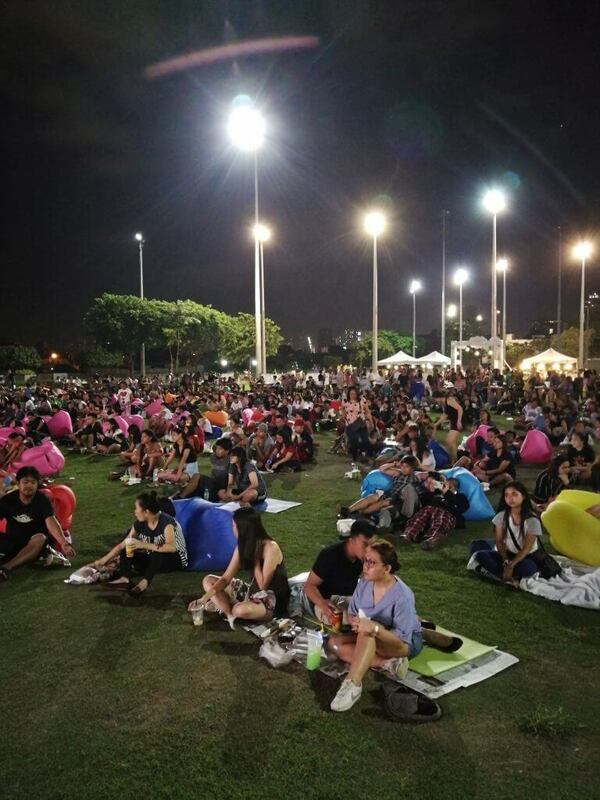 Known as the premier destination of Pampanga, Sandbox is a one-stop adventure facility that caters to the young and the young at heart. 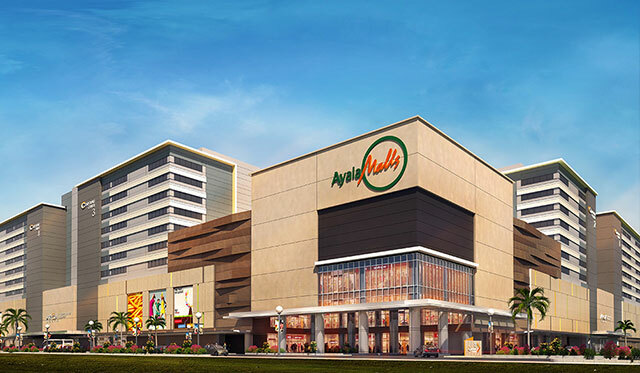 Ayala Land, Incorporated in partnership with Leonio Land has since then launched this integrated mixed-use development called Alviera in Porac, Pampanga. This 1125 hectare township is designed to combine urban aspects of living with nature seamlessly. The SandBox is one of its very first attractions and is slated to become the premier adventure and outdoor facility on Pampanga. The Sandbox promises to offer visitors a distinct and memorable outdoor experience which ranges from a multitude of attractions to a series of adventure courses. Pampanga is known to be the culinary capital of the Philippines. In this regard, food festivals and the like are rather commonplace in various areas of the province. True to its claim of being the gastronomic mecca in the country, Porac hosts its very own festival known as the Binulo Festival where locals would showcase their indigenous cooking traditions. Visitors of this festival would allow you to sample traditional food that is made popular by the Aetas. Formally inducted as a local festival in the year 2005, Binulo highlights the cooking of various food items such as rice, fish, pork, chicken and other seafood in a traditional Binulo method. This traditional cooking approach involves the stuffing of these food items inside a variety of bamboo called bulu and cooking them. This yearly event is celebrated in late November and aims to create a sense of community among the locals. Participants of the event are encouraged to represent their barangays and come up with a binulo dish as a collective effort. Individuals with an affinity for historic places and old churches should definitely pay a visit to Santa Catalina de Alexandria Parish which is also designated as the Porac church. Located in Barangay Poblacion, this 19th-century Baroque church is currently under the ecclesiastical province of the Roman Catholic Archdiocese of San Fernando. The structure still stands majestically despite its dated architecture with its towering silhouette reminiscent of a staunch but ancient guardian or ruler in the center of Porac, Pampanga surveying its constituents. Hydro sports enthusiasts or individuals with a penchant for water activities will definitely love hitting up the waters of Deca Wakeboard Park. Known as an alternative for individuals who have no time to go to Nuvali or Davao, Deca Wakeboard Park is the premier wakeboarding destination for wakeboarding individuals and enthusiasts. This water sports destination in Central Luzon has been garnering quite the attention as of late considering that wakeboarding is becoming a rather popular sport. So, if you are looking for the adrenaline-pumping thrill of breezing above the water’s surface, Deca Wakeboard Park is definitely for you. 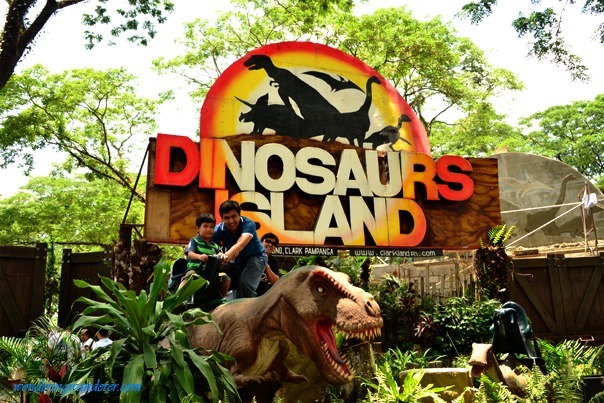 Located in Mabalacat, Dinosaurs Island is the perfect place for individuals who wish to get up close and personal with our prehistoric friends—or at least, their animatronic versions anyway. Dinosaurs Island is the country’s own rendition of the fictional Jurassic Park. Inspired by the movie, the theme park features various animatronic dinosaurs which guests can get to interact with making the experience as real as it can possibly be. More importantly, guests have the opportunity to learn more about dinosaurs when they visit the Fossil Museum and World of Fun where they can see the extinct creatures up close. Visitors can even experience the thrill of riding our prehistoric friends by hopping in Adventure Ride. Perfect for both the young and young at heart, Dinosaurs Island promises a myriad of activities for everyone who wants to discover a little more about these creatures who once walked the earth. Traveling with little tots and your children in tow can be quite limiting to your options as to activities and stops—especially when your children are rather young. You are compelled to make interesting choices in terms of activities and stops. In this regard, if you are traveling with your kids, you can never go wrong at Villa Alfredo’s. This swimming pool park is an excellent place to spend your weekend bonding with family while splashing around in the water. Guests can enjoy swimming in their pools, sliding down their waterslides and even sing to their favorite songs on its karaoke machines. However, the best part of being in Villa Alfredo is having the opportunity to commune with nature by checking out the marine aquarium, exotic bird sanctuary and botany garden. 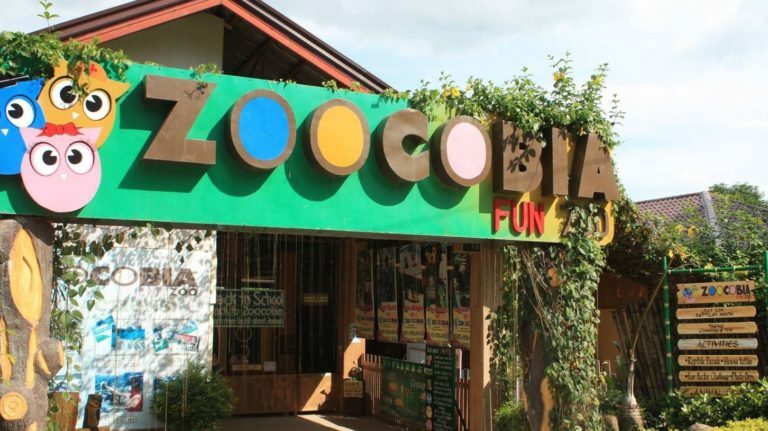 Although the name may suggest it, Zoocobia is more than just a place to see our four-legged friends and various species of animals. Apart from getting up close and personal with different animals, the park boasts a garden maze full of animal topiaries as well as a labyrinth. Guests can also take a look at their distinct gallery of stuffed animals preserved by their resident expert taxidermist. However, if there is one attraction that might convince you to pay the park a visit, it would be Zooc the first and only gravity car track in the Philippines that is said to be inspired from the Skyline Luge in Singapore’s Sentosa Island. Take a trip back in time by taking a gander at a recreational facility that showcases actual fighter aircraft planes that were once in action during the Second World War. Air Force City Park in Angeles is a place where guests can climb and get into some of the actual aircrafts put up on display. Akin to an outdoor playground, the facility is open for kids and kids at heart to play in. However, individuals who prefer to have a quiet afternoon in might opt to head over to the park’s library where they can lounge with a book or two. 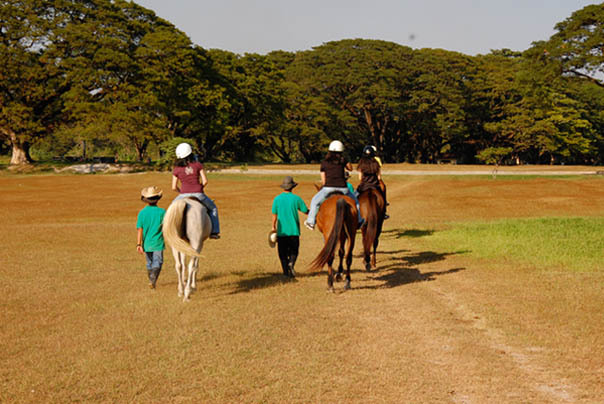 Individuals who have always dreamed of getting on a horse and learning to ride can have these wishes fulfilled and realized in El Kabayo. Reminiscent of an era once dominated by cowboys, El Kabayo is a replica of an old Western town that looks like it was taken directly out of the set of an American cowboy movie. The place is rife with recreations of old Western establishments such as a telegraph office, a saloon and the like that just stepping in would feel like traveling back in time. Apart from the beguiling displays, the park offers riding lessons, carriage tours, shopping, and photo opportunities as well as adventure and scenic trail rides. People with a predilection for nocturnal activities will certainly love Aqua Beach Club’s nightlife scene where the crowd is said to be an excellent mix of sophisticated, young locals and vibrant tourists. Located at rooftop level of ABC Hotel in Angeles City, Aqua Beach Club is poised to make Pampanga the premier nightlife destination in Central Luzon. 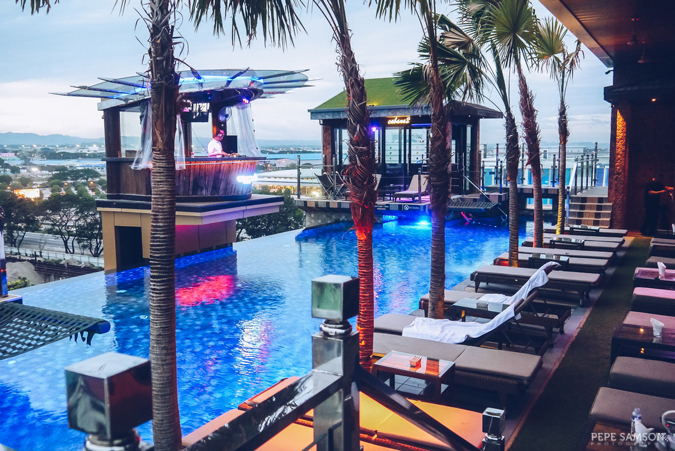 This 3-story wellness and party super club is the first of its kind in Asia and sits atop a luxurious boutique hotel to entice locals, expats and even individuals from far-flung cities to come and join the party and be a part of the it crowd. People who are looking for a thriving and scenic adult playground should definitely hit the place up. Located in an area considered as Aeta ancestral land, Puning Hot Springs is a wellness facility surrounded by verdant greens and lush foliage. Guests have the choice of taking a dip in one of their 11 natural hot springs or take a swim in their two heated pools. After a refreshing swim, visitors can also spend their time covered with hot sand in the sand spa which is said to have therapeutic effects. 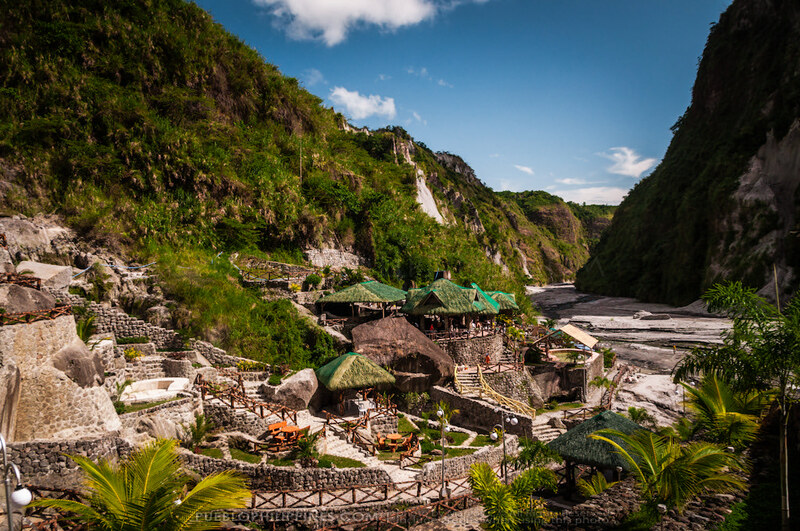 However, if they have a taste for the unconventional, guests may prefer to head to the mudpack area for an unusual treatment using mud made from Mount Pinatubo. 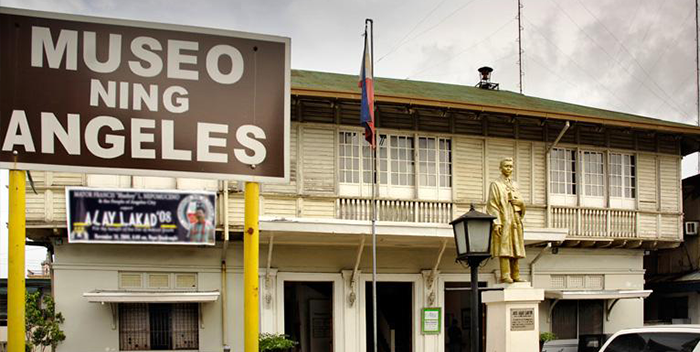 Individuals with a penchant for history should never pass up the chance of visiting Museo ning Angeles (Museum of Angeles) whenever they are in Pampanga. The structure itself is a museum piece itself and is considered a priceless asset and a vintage circa 1920 structure. Erected in the year 1922, the structure served as the Municipio del Pueblo or Town Hall until the year 1998. The museum has since then become the venue of the city’s cultural activities—be it from the locals or the government sectors. Today, the museum is always abuzz with activity from art classes, concerts, exhibits and venue for performances. By June 2012, the museum has been declared as an “Important Cultural Property of the Philippines”—the first property to be given such designation and distinction.